Leo correlates to “Trust” the middle step on the Southern pathway of Sun Bear’s Medicine Wheel. This is the lunation cycle for refining the intention you set last April. The emphasis is on creativity and self-expression. Generosity, playfulness and courage are highlighted, along with the element of fire, and issues involving speculation, sports, love affairs and children. 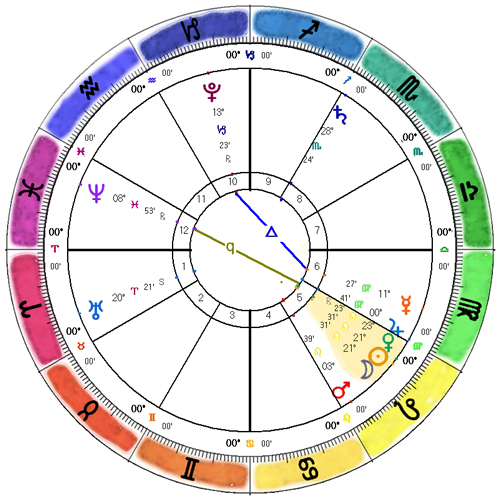 This is the chart for the New Moon in Leo. Read our brief analysis of the aspects, along with our advice for this cycle at Zodiac Arts New Moon News, plus links to other astrology writers with valuable information on this New Moon.